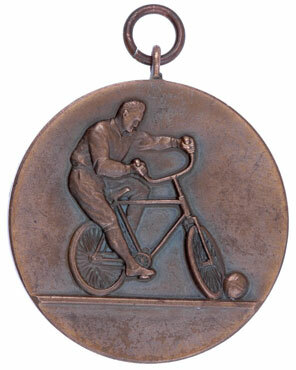 Unknown Rad (Bike) Award: Possibly for bike balance control or bike soccer. I never heard of this sport before, and have never seen anything like it either. 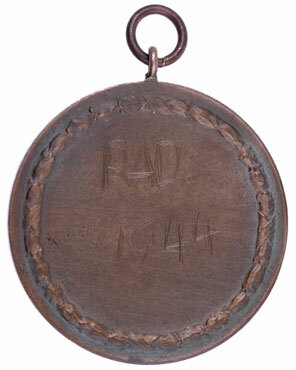 Tombac, 38 mm, reverse has "RAD 1944" scratched in, nicely toned, rare, light wear.